The Columbia MBF 1 in. x 10 ft. Electric Metallic Tube Conduit offers protection from magnetic fields, impact damage and crushing when pulling electrical cable. This steel conduit resists flattening, kinking and splitting and is coated with zinc for corrosion- and abrasion resistance. 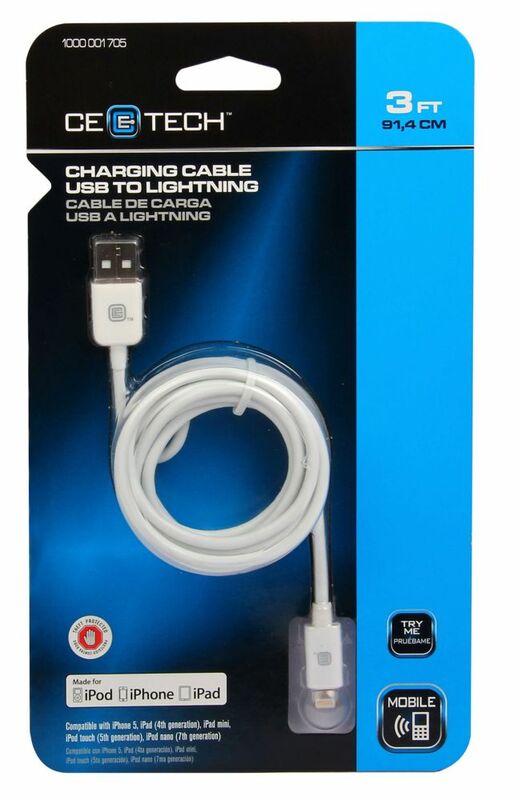 Apple 8pin Lightning Sync Cable Charge and sync your iPhone 5, iPad 4th Gen, iPad mini, iPod touch 5th gen and iPod Nano 7th gen with the Lightning connector to your computer's USB port or to the Apple USB Power Adapter for convenient charging from a wall outlet.